Boat trip to discover Olympos village, where time looks like has stopped. 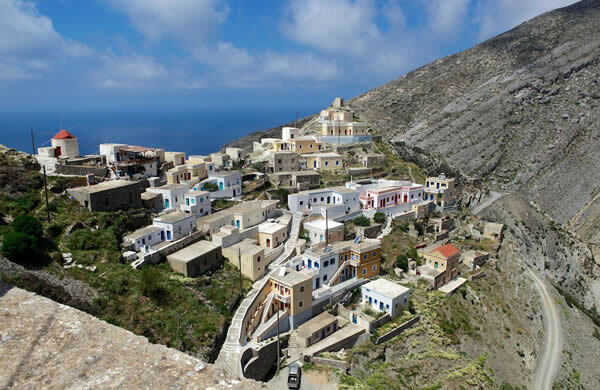 The village is known for keeping unchanged the oldest traditions of Karpathos, like using donkeys , cooking bread in common ovens, homemade “pasta” , and mostly for the costumes full of decorations ,and embroidery. We will meet Papa Giannis the gentle priest of the village in Holly Mary’s church, and the typical houses of Karpathos that they will make us feel the magical atmosphere of the Mediterranean of the old days. We will stop in Diafani, natural harbor of Olympos, for a refreshing swim in its crystal waters. Boats trip to the north coast where the most beautiful beaches of Karpathos are. We sail from Pigadia harbor to the most famous beach of the island, Apela, known for its white sand, and crystal clear waters, where we will have time to swim. By lunch time we will move to Kyra Panagia, bay topped by the typical church dedicated to Holy Mary, protector of the seamen, where except of bathing in one of the most suggestive place, there will be time for lunch in the local tavern and taste local delicacies (lunch is not included-optional). Boat trip until we reach the wild and uninhabited island of Saria. 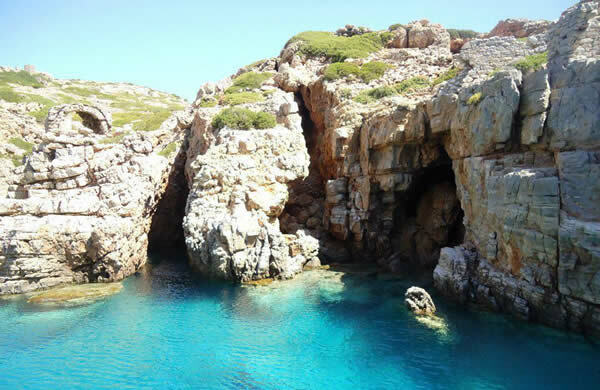 Shelter of the Saracens pirates, once connected Karpathos, this small paradise will offer us a beautifulwalk to discover the ancient city of Argos, and at the end sun sea and snorkeling to the cave at the gorgeous bay of Palatia. Day dedicated to the discovery of the Karpathian Archipelagos. We will arrive to the uninhabited island of Armathia, once famous of the massive production of gypsum, notorious through the travellers for its crystal-clear waters, and the deserted beaches of fine sand. There is the possibility to bathe at Marmara beach and enjoy the coloured bottom of the sea. 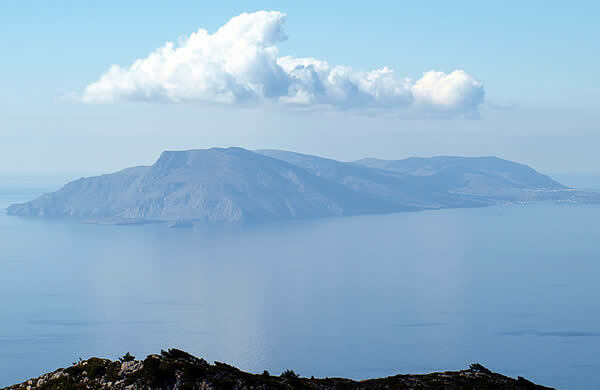 You can also visit, after a short walk, the salted lake and then proceed to Karavostasi, uninhabited village, where we will visit the church and swim in one of the biggest bays of the island. By lunch time we will move to the island of Kassos. We can walk through Fri, capital of the island, and have lunch (not included-optional) based on fish, in a local tavern. We will discover typical villages of the island: first Aperi, famous for its typical architecture, then we go to Volada, Othos and after Pyles, where we visit the Orthodox church and the women’s cooperative of local food products. Afterwards we will proceed Olimpos the famous village in the north, isolated for many years where we will enjoy its romance. On the way back we will reach Lefkos where we will spend time in the fabulous sea and there we will have meat-based lunch (included in the price), few step from the bay. Final stop in Menetes where we will enjoy a breath-taking view from the courtyard of the Orthodox Church of Mary’s Assumption. Day dedicated to the sea and relaxation. 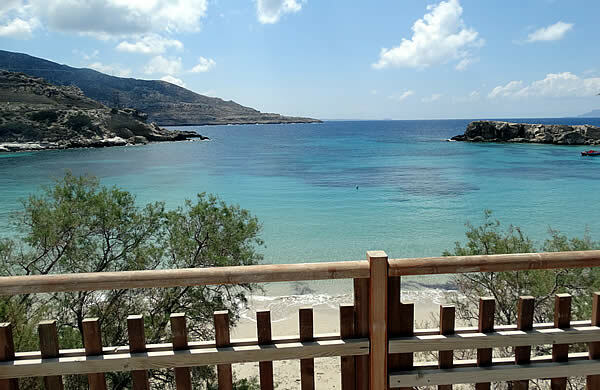 We stat from Pigadia to the Amoopi Bay, one of the most beautiful beaches on the island. Once you get to the equipped beach (sun loungers and umbrellas not included) you will have the unforgettable opportunity to relax on the beautiful bay and swim to the turquoise and shallow waters of the lagoon. 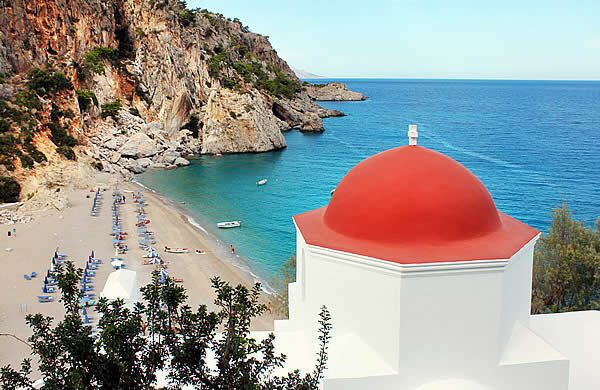 After noon, we will head for Kira Panaghia, a creek surmounted by the small red dome church dedicated to the "Marine Protector", which became Karpathos's most famous postcard. Time to swim to the crystal clear waters and have lunch in the traditional tavern (lunch included). We recommend you a visit to the Church, a unique point for photographing the beach. At the end of the tour you can relax on the sun loungers and umbrellas at your disposal (included in the price).